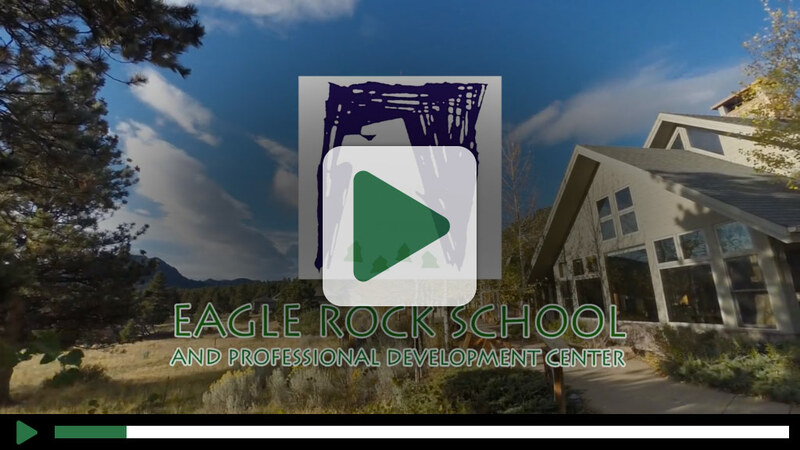 While the admissions process is sensitive to individual needs, Eagle Rock is a very selective school. The admission process must always address the needs and mission of the school at the moment of admission. For that reason there is not a checklist of criteria for admission. A primary criterion is a willingness to actively pursue intellectual and personal growth. A young person must have an exceptional capacity to persevere when faced with difficult personal and emotional challenges. A secondary criterion is a willingness to attain personal achievement outside the classroom in a range of pursuits including academic activities. These include: community service, creative and performing arts, athletics, speaking at conferences and workshops and other extra-curricular areas. The third criterion is a willingness and desire to help us assist other schools around the country at getting better at engaging young people. Our experience has shown us that the ideal ages for admission are fifteen through seventeen; however, occasionally we have discovered that some eighteen year olds are good candidates for admission. We are looking for students who want to make the most of their high school experience, not just get a diploma. We are a high school, not a therapy or treatment program. As a school we highly value academic rigor and personal growth and character. We do not have a preexisting mold into which all young people must fit. While many of our graduates attend college, college prep is not our single focus. Instead, we are a prep for life school. We want our young people to value learning. We entreat them to do so in many ways. Ultimately, we want them to use their learning to better their immediate community and by extension society. Our desire is to graduate young people who have the will and are prepared to make a difference in the world. We are a Professional Development school. Since we will never have a large student population, our greater purpose and good is to assist educators to better their craft. After they have worked with us here, we invite visiting educators to go out and influence change in their school and community. Eagle Rock is a very selective school. We have a large applicant pool and are challenged to choose those whom we feel will fit the school’s needs and mission at the time of application. Eagle Rock is a full scholarship school designed for individuals with limited financial means. In summary, Eagle Rock seeks prospective applicants who will benefit most from the school’s resources. We seek applicants who will contribute to our community, grow personally and academically, finish well and proceed to a lifetime of intellectual, personal and societal accomplishment. It is our hope that this information will provide guidance on who is an appropriate candidate for Eagle Rock.